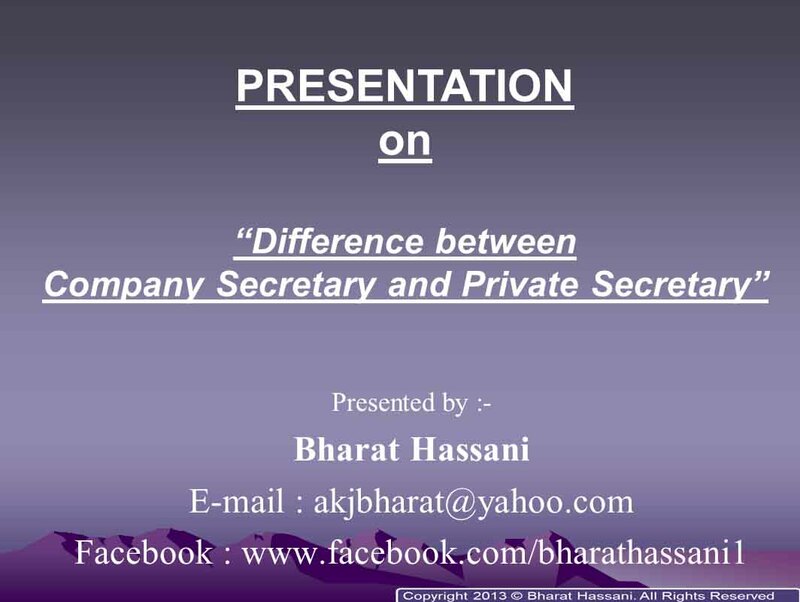 In this page, we are providing you a presentation on the topic "Difference between a Company Secretary and a Private Secretary". As we have seen that there are so many misconceptions among people about the difference between a Company Secretary and a Private Secretary. 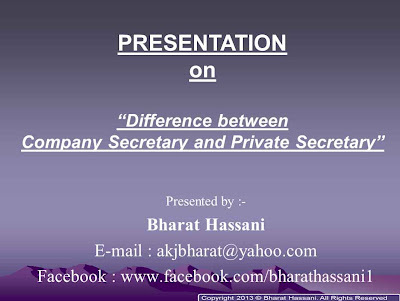 To remove any kind of misconception, we are providing you a presentation on the topic "Difference between a Company Secretary and a Private Secretary". You can download the presentation file and keep it with you. for downloading the presentation file, you need to click the link given below. This presentation has been prepared on the data given on the internet and given in some books. The points and facts given in this presentation and the information published here in this Site may be differ from public views and actual facts, so please refer ICSI Website for accuracy and authenticity. The primary objective of this Site is to facilitate the learning process of the students so that they may not waste their valuable time due to incomplete information. Do not copy and print any contant published in this site.